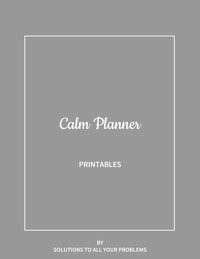 I’ve written quite a few articles about managing anxiety and natural anxiety remedies. 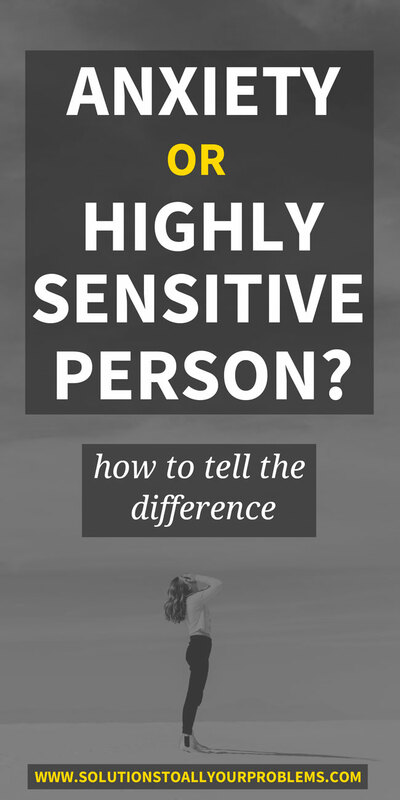 I’ve also written about being a highly sensitive person (HSP). Today, I want to put the two together. You may think you are experiencing anxiety symptoms when you are actually exhibiting signs of being a highly sensitive person. You may think you are exhibiting signs of being a highly sensitive person when you are actually experiencing anxiety. You may be experiencing both. You may be a highly sensitive person with anxiety and have a hard time figuring out where one ends and the other starts. So I want to share my personal experience as an HSP with anxiety with the hopes that it might provide some clarity to some of you struggling to make sense of it all. Highly sensitive people tend to process information more deeply than non-HSPs. Sometimes we do this consciously, as in taking longer than non-HSPs to make a decision, but we do it unconsciously too. Researchers have found that, especially with tasks that involve noticing subtleties, the parts of the brain associated with deeper processing are more likely to be activated for HSPs than for non-HSPs. Highly sensitive people tend to get overstimulated more easily than non-HSPs. Stimulation is anything that wakes up one’s nervous system and it takes less to wake up an HSP’s nervous system than it does to wake up a non-HSP’s nervous system. It also follows that the same amount of stimulation that will make a non-HSP comfortably alert might cause overarousal for an HSP. And overarousal – the feeling of being frazzled and out-of-control – uses more energy than just being comfortably alert. So we get tired quicker and need more rest than non-HSPs. Highly sensitive people tend to have stronger emotional reactions (both positive and negative) and higher levels of empathy than non-HSPs. Instead of just theoretically understanding what other people might be feeling, we actually have the capacity to feel in our own bodies what they are feeling. Highly sensitive people have a tendency to notice subtleties that other people miss. This doesn’t mean that our senses are somehow more superior. (I wear contacts!) Instead, researchers have found that when observing and perceiving our environment, we are more likely to use areas of the brain associated with complex processing of sensory information. Moreover, we often do this unconsiously, which results in us appearing more intuitive. We “just know” without being able to explain how. Fear and stress are the human body’s natural response to potential threats. Anxiety is fear and stress that is disproportionate to the situation. It’s a feeling of constant worry, nervousness, unease, or fear. Anxiety has both mental (worry and rumination) and physical (fight-or-flight) symptoms. 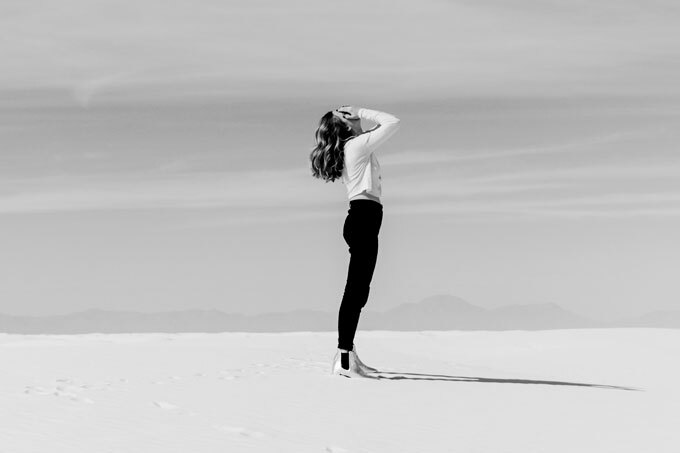 It’s normal to feel fear and it’s normal to feel stressed from time to time, but anxiety becomes a disorder when it’s strong and frequent enough to interfere with daily activities. There are three ways to easily confuse high sensitivity and anxiety. Carefully thinking things through is high sensitivity. Worry and rumination, embedded in fear, is anxiety. But if these symptoms are not arising out of fear, then they are not in fact anxiety. When we mislabel our body’s signals as fear, we create a vicious cycle where our belief that we are actually scared further increases the symptoms we are experiencing. But with practice, we can learn to pay attention to our bodies and catch these feelings as soon as they start taking over. And we can learn to ask ourselves: Is this fear or am I just overwhelmed? Overwhelm is high sensitivity. Going to a party with bright lights and noise. An abundance of perfume, cologne, and hair spray in the air. Navigating an ever-changing lineup of strange faces talking at you and responding to those faces without having time to think. Children running around erratically and unpredictably. Becoming tense, flustered, and overwhelmed. That is high sensitivity. Fear is anxiety. Going to a party and worrying about what people will think of you. Being scared that you won’t find anyone to talk to. Being scared that someone will notice you getting flustered and overwhelmed. Being scared of the loud drunks who remind you of past abuse. Your body going in fight-or-flight at the hint of conflict over the course of a random conversation. That is anxiety. Because of our brains working extra hard at processing everything and because of the constant overarousal, highly sensitive people need more time to rest and recharge in quiet solitude than non-HSPs. People who are not knowledgeable about high sensitivity will often assume that our attempt to seek rest is “avoidance” due to anxiety. Our need for quiet seems excessive and abnormal to them, simply because it’s more than what they need. However, our need for rest is natural and absolutely essential for our well-being. Without it, we subject ourselves to an overwhelming amount of stress, which in turn makes us more vulnerable to anxiety and depression. Balancing periods of rest with periods of being out in the world is a sign of a healthy highly sensitive person. A healthy highly sensitive person says no to low priority activities in order to make time for rest and in order to have energy for those activities that are most important to her. Avoiding activities due to worry or fear is a sign of anxiety. Highly Sensitive Person is who we are. High sensitivity is a genetic trait that some of us are born with. It’s a trait that comes with positives and negatives. We can learn to live with the trait so that we get the full benefits of the positives and minimize the negatives. But we can’t make this trait go away. Although some people might choose to suppress their high sensitivity with medications, high sensitivity is not a disease to be cured. It’s just the kind of person we are. Accept it. Become friends with it. Embrace it. Fear is also natural. Human beings need fear to warn us of threats. It’s only when fear and stress get out of control, when they keep you from living your best life, that it becomes a problem. But even then, you can learn to manage your anxiety. You can learn to regain control. You can learn to push through when anxiety is standing in your way. 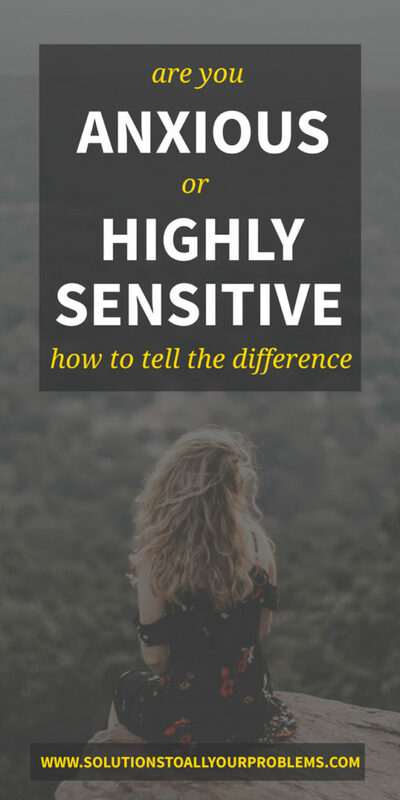 If you are a highly sensitive person with anxiety, first and foremost, stop fighting your high sensitivity. Instead, put your energy into creating a life that your highly sensitive self will thrive in. A life you love. And let me emphasize the YOU here. 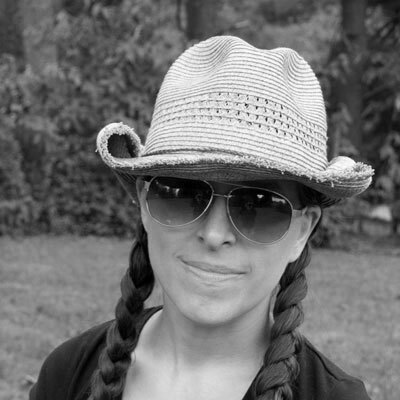 A life YOU love – and not the life the non-HSP society has taught you that you should love. Secondarily, put your energy into addressing any fears and anxiety that are standing in the way of creating YOUR best life. That is the anxiety worth pushing through.